The advent of low-cost CNC equipment combined with the affordability of services offered by Vector Art 3D has meant that starting a business offering dimensional carving is more accessible and cost-effective than ever before. This can be a worthwhile and profitable way to start a small business or develop a Hobby into a profit making opportunity. 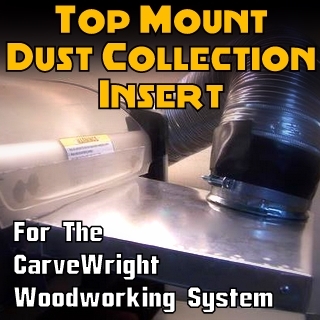 Adding new services to an existing (CNC) business (sign makers, cabinet makers etc.) such as dimensional carving can be a good way to compensate for reduced business in your traditional market or to broaden appeal in a tough economy. Regardless of whether you are starting a new business or looking to expand your own then planning is essential to give the best chance of being successful. In this month’s article we wanted to cover some of the issues involved in planning to do this type of work. As before this is not designed to be an exhaustive guide but more a collection of ideas and suggestions to help in this process. All the things that you need to consider when starting any business can be collected into a well written business plan. Some of the most important reasons for developing a plan are that it allows you to honestly evaluate your ideas and develop a list of things you will need to do. Secondly as you proceed with your plan it gives you a way to analyze your progress and make changes if things are not proceeding as you predicted. If you intend to borrow money to start your business than a business plan will often be required by the bank to grant the loan, even if it’s your own money then it makes sense to do the same due diligence the bank would expect! Writing a business plan will take time and requires some effort, we would advise buying a book which deals with this subject specifically for the country or area you live in (so it covers the correct legal and financial (tax) issues involved in it). Then work through the process to whatever extent suits your situation, although the more you do the better situated you will when you move forward. When writing your business plan you need to be as honest as possible. Most entrepreneurs have an emotional attachment to their idea (indeed this is pretty important for success) however this emotion means you tend to look positively at all aspects of the planning and assume the best case scenario. It’s important to back up your ideas and assumptions with as much real data as possible. For instance if you plan to offer sub-contract machining services to cabinet shops then you need to find out just how many shops are within a realistic distance and actually talk to them to see if they would be interested in what you plan to offer (and if not what would be useful to them!) You should discuss your ideas with friends and family members and encourage them to test you with questions on feasibility. If you have contacts who own businesses, are lawyers or bankers then try to gain as much knowledge as possible from them with their experiences of starting a business. It always seems like a daunting prospect to go through this planning process especially if you have not done it before. Although it’s impossible to predict the future thinking about it will save a lot of time, stress and money in the long run. In a lot of ways writing a business plan is just a way to formalize your ideas and dreams (which will already be swimming around your head) and to test them for accuracy. Much of the rest of this article relates to ideas to consider which will help with writing your business plan specific to dimensional carving. You need to decide if your clients are your current customer base (if you have a business), people in your local area or people on the internet or a specific target market (people at your church, tourists who visit your area etc. ), or some other group? It may be more than one of these but be realistic and test your access to them to prove you will be able to market your products to them. If you plan to sell to people in a particular area or a specific group then research what is popular amongst them, do not assume your tastes are the same as your customers! They may like natural scenes, traditional architectural accents, religious themed work etc. etc. Ask them about their preferences or ideally show them options and note the response and comments. It’s easier to match your product to your customer wishes than it is to change your customer to fit your product! The type of CNC machine and software you have (and to some degree your skills, experience and interests) may limit what type of product you can offer your customer. You should understand the capabilities of your CNC machine such as what materials you can cut and how large the parts are you can realistically make. From a software standpoint you need to understand whether you can carve just 2D shapes or if it includes V-carving, Prismatic cutting, texturing or even whether you have the capability of 3D modelling and machining. This will to some extent limit what you can create for a customer. Although Vector Art 3D Machinist, our clipart and our custom modelling services allow almost any CNC owner to produce relief style dimensional carvings regardless of existing software solutions. A: How many potential customers are there (you will have to research this to find the customers to ask for feedback on your product ideas) – Is this as many as you thought? – Is this enough to make money? B: The feasibility of the product in terms of price, material, finish, variations or even suggestions for other ideas you had not considered. If you already own a business or if you’re looking to take your hobby into being a profitable venture then the most efficient method is to try and use existing skills and knowledge. The following two questions are well worth taking into account as you develop your strategy and normally offer the path of least resistance. a. How can you use dimensional work to add value to what you currently make? Think about the products you make now and how accents or additions could be made to these to add value or differentiation to what you currently have expertise in making. If it is a new business then think about products you have some knowledge of and how this might relate to those. b. How can you expand into related areas with dimensional carving to diversify your business or to address customer needs currently handled by other companies? As well as working on the products you currently make, look at applications that have related skills, materials or finishing that you can expand into. It is also worth thinking about products which are compatible with what you currently make or could be offered as a value-add option. In addition you may see products you are capable of making which customers currently buy elsewhere which you can add to your offering. You need to see if other companies offer dimensional carving in the area or application you plan to sell into. If so figure out what they offer perhaps they specialize in a particular material such as plastic or application such as architectural millwork. Look at their products and clientele and see how much overlap there is with what you plan to do. If there are areas of overlap you need to have a strategy of how you will either be lower-cost or better quality than them (or both). Even with a difference in price or quality it will take time to educate the customers to see this and you run the risk of your competition addressing their deficiency by reducing prices or upping quality. Ideally you want to be able to offer something unique. It may even be worth contacting competitive companies to offer your services to that company for over-flow or sub-contract work. Having a list of goals is an important part of planning and evaluation. Setting goals is quite personal and these may be aspirational such as “Create a $5M business” or they may be much more specific such as “Build 5 sample pieces of furniture”. If they are more general or aspirational then they will need to be broken down into well defined objectives which are achievable and measurable, otherwise no satisfaction can be gained from achieving them and you cannot measure your success. They should also have a time-scale attached to them specific dates or short, medium and long term bands of time. When combined with your business plan you should be able to develop a TO-DO list from these to help you stay on track. Choose times to evaluate how you are doing, re-define your goals and adjust your planning accordingly. Vector Art 3D offer many resources to help people who want to offer dimensional carving to their customers. 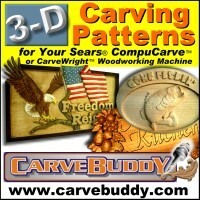 As discussed in last month’s Marketing your CNC business article Vector Art 3D offer the Free Samples , the Starter Collection and the Affiliate program (login to you account and look for the “Apply to have an online catalog” link) to help you with marketing our models to your customers and making samples. Another very important thing to keep in mind is we can act as your employee. You can buy and use our economical 3D clip art models as carved products in their own right or as components in more complex designs using Vectric’s Aspire, ArtCAM Pro, En Route Pro and other modelling packages. We also offer a custom modelling service so can create specialized one off designs based on images or artwork from you or your customers. This means you can offer a completely custom carving service to customers even if you do not own 3D modelling software or are very new to it so don’t have the time or expertise to do it yourself. You can click here to Request a Custom Quote from us. 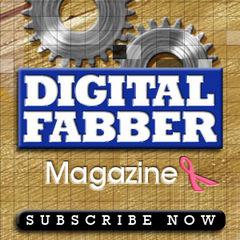 As stated earlier this article is just intended to be a list of ideas we hope you find useful if you are considering a dimensional carving aspect to your business. Please email us with ideas for other article subjects at info@vectorart3d.com and look for next month’s which will be a Vector Art 3D customer case-study.